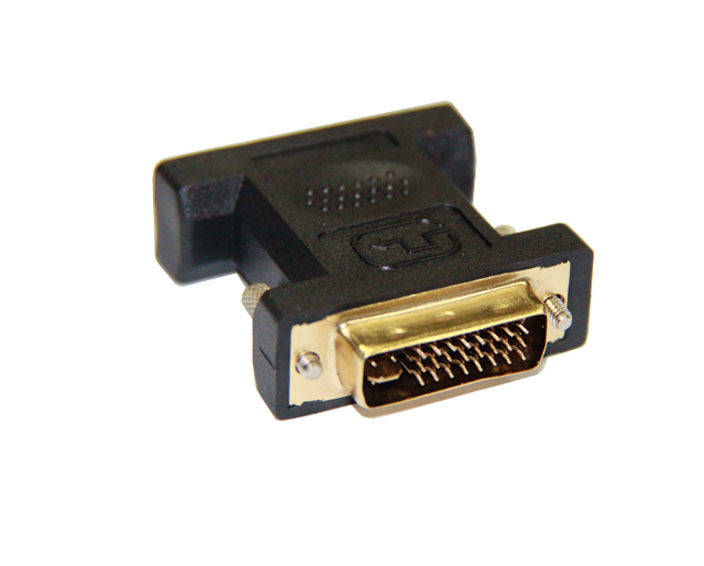 DVI24+5 Male to VGA Female Adapter is designed and constructed to provide a dependable DVI to VGA signal connection, allowing you to connect DVI 24+5 capable devices to VGA-enabled devices and vice versa. ◆ Adapter can be applied to the signal transmission among devices like computer, DVD, HDTV, flat-screen LCD TV, and television, etc. 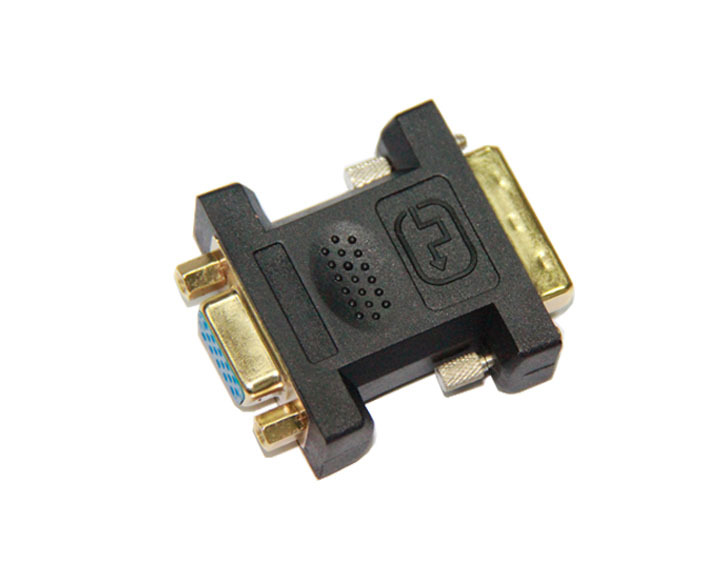 ◆ 24K Hard Gold-plated Connector minimizes signal loss through superior conductivity and prevents oxidation. ◆ Full environment-protection material conforms to green product and ROHS standard. 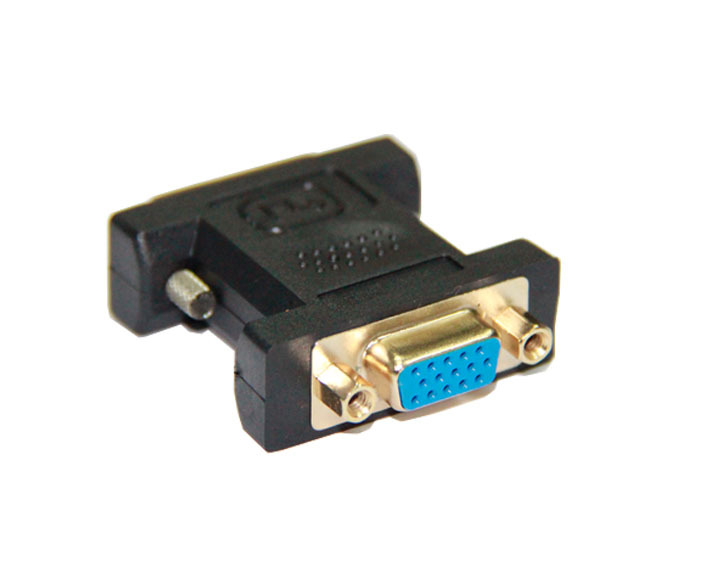 ◆ Adapter adopts pure copper conductor which perfectly transfers video signal. ◆ Warning: Output devices with DVI 24+5 interface like graphics card is available to convert to VGA and devices with DVI 24+1 interface is not.